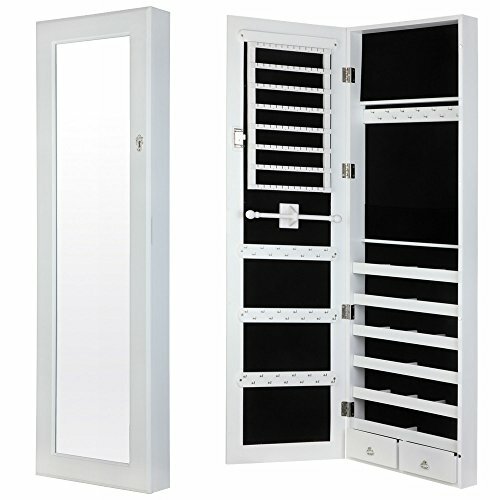 Keep all your jewellery off your wardrobe and desk with the Homegear Modern Wall Mounted Mirrored Jewellery Cabinet. This perfectly sized cabinet can be mounted on any wall and can safely store necklaces, rings, bracelets, charms and much more. With the large front mirror you will no longer have to walk to the bathroom to make sure you are looking amazing, simply open the cabinet and make sure your outfit look spectacular. If you have any questions about this product by Homegear, contact us by completing and submitting the form below. If you are looking for a specif part number, please include it with your message.